I think that one of the reasons we all love Etsy so much is because we know that by purchasing a beautiful handmade item directly from the maker's Etsy shop, we are supporting the artist directly. I love knowing that the person who made these beautiful little heart shaped bowls wrapped them up with care herself and shipped them to me. 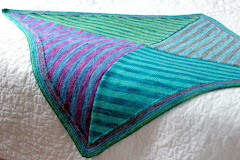 Gosh I love handmade things! 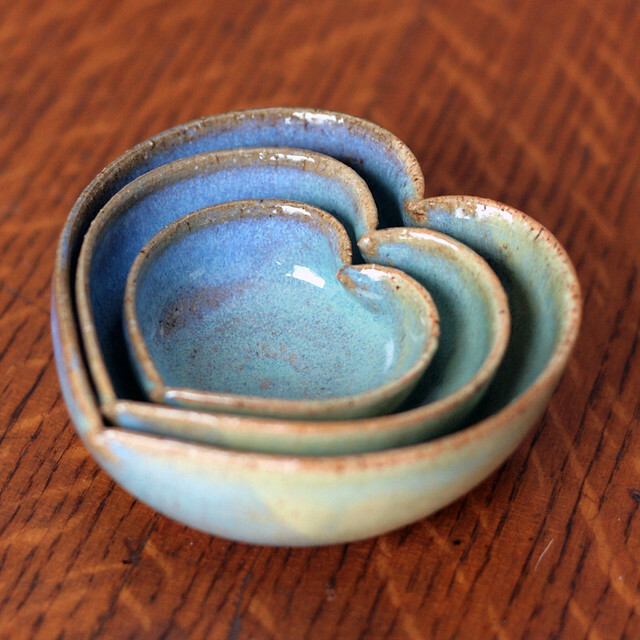 Aren't these little bowls just the sweetest? I'm not sure what I'll use them for, earrings? Condiments? I think that the little one would be perfect for olive pits. is that weird? When I'm entertaining I often put a dish of delicious olives out as part of my appetizers, but then you're always left with the awkward situation of having to spit your pits out into something... a little heart shaped bowl would be just the thing. 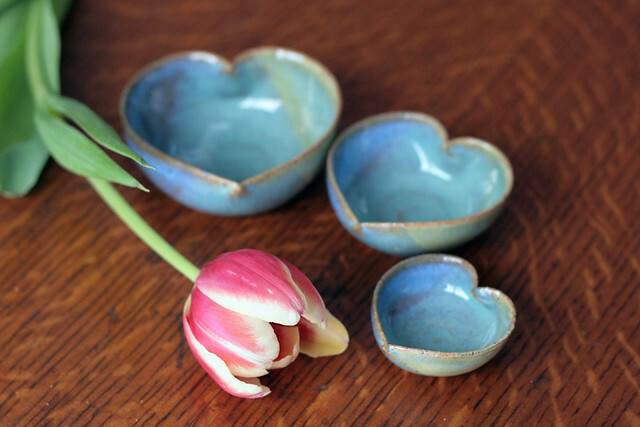 These beautiful heart nesting bowls were purchased from JD Wolfe Pottery. 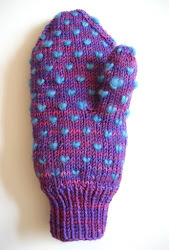 I love the colour! I have another favorite site to thank for this next purchase. 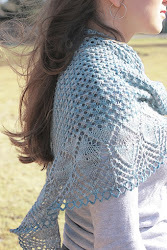 I pinned this image on Pinterest months ago and kept going back to it. I just love this pencil drawing. It's light and fine and that bun is just so familiar looking to me. 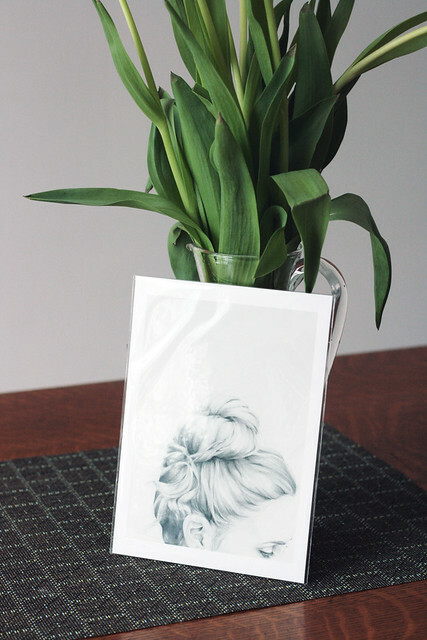 As a perpetual bun wearer I finally caved and purchased this 5x7 print from Belafonte on Etsy. The print is called "A Perfect Mess". Isn't that nice? Since taking this picture I have framed this print in a simple, light birch frame. I'm planning on hanging it as part of a collection on top of my new fireplace. That's right, new fireplace! Chris and I are adding a gas fireplace to our living room and it is being installed today! Full details coming soon, I cannot wait! Next, this hilarious little blue cat. Ok, the cat itself isn't blue, but to me the overall feeling of this print is blue and I love that. The cat reminds me of my family pet Tristan, and he's wearing a bow tie, best $15 I ever spent! He is admittedly very silly, but he brings me so much joy. 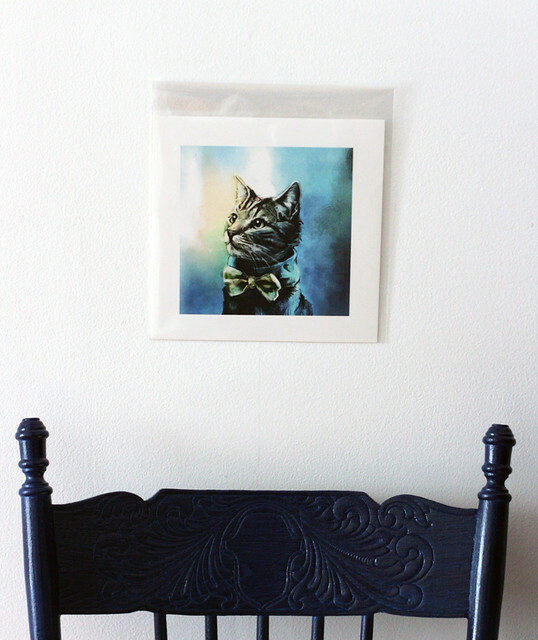 :) This print is called "Handsome Cat" by Alice X. Zhang and was purchased here. I was so enamored with him when he arrived in the mail that without removing him from his celaphane wrapper I immediately taped him to the wall. I've since moved him and taped him to the side of a cabinet. I'm keeping my eyes open for an 8x8" frame, but until I find the right one I'm happy to move him around the house and tape him up where ever feels appropriate. Last up, an original work of art that I threw together in one afternoon (including drying time) all in I don't think it took more than 20 minutes of actual work. Inspired by this image that I pinned months ago I decided to attempt my own version. I had started collecting crocheted doilies a while ago, but my collection never amounted to more than a couple discoloured, sad little doilies. I grabbed an old canvas, some gesso, leftover paint and voila! 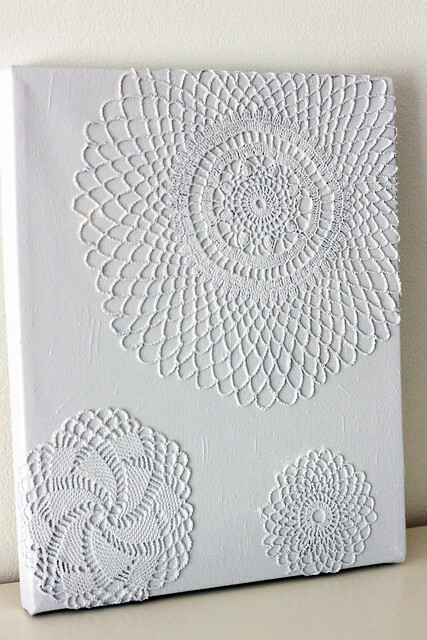 Instant doily art. 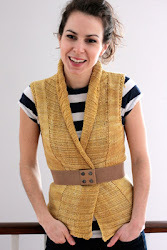 I really like it, it's subtle, textural and fiber-licious. 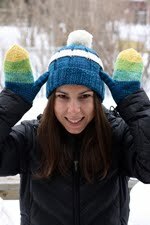 January TFA KAL Wrap Up: The Final FOs!